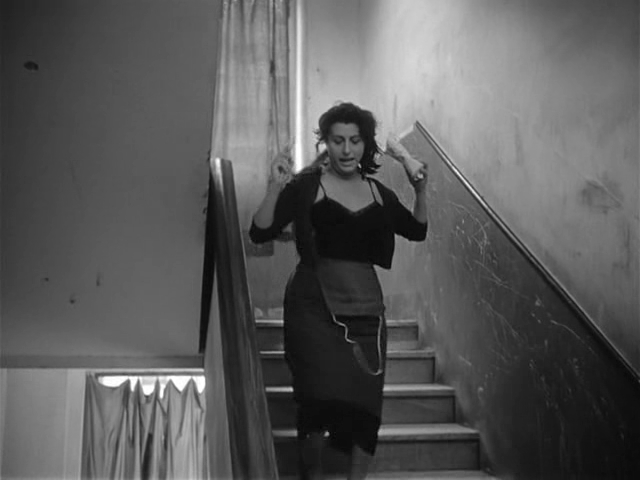 Maddalena (Anna Magnani) is a screenstruck mother convinced of her daughter Maria’s (Tina Apicella) star potential. Dreaming of a better life for her family – as a means of escape from the struggles of everyday existence in working-class Rome – she invests everything, including her last penny, into the dream that her daughter will be discovered at an open casting. 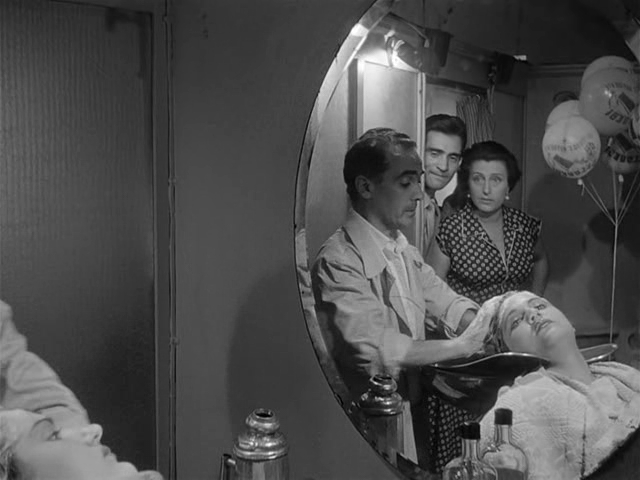 Looking at Bellissima from our perspective, with Visconti’s entire career to look back on, the film doesn’t seem as much of an anomaly as it must have appeared on its release. 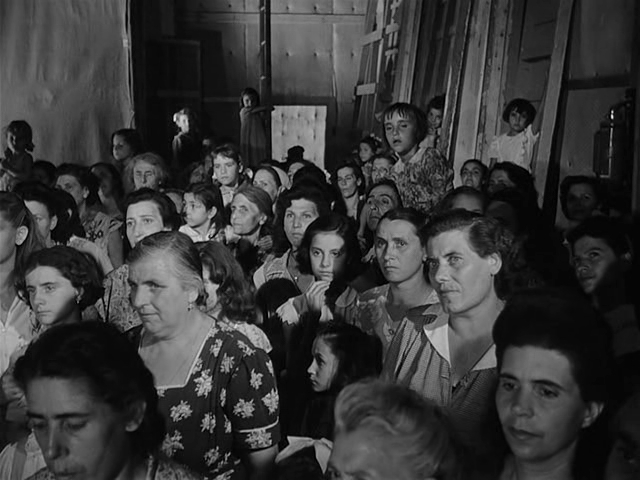 This was Visconti’s third film, coming after two classics of neorealism: Ossessione with its frank portrait of sexually-driven characters firmly grounded in a hard-nosed depiction of social realities; and La Terra Trema, to my mind the masterpiece of forties neorealism with its perfect balance of social(ist) concerns, a strong narrative, non-professional acting performances, and on-location shooting. 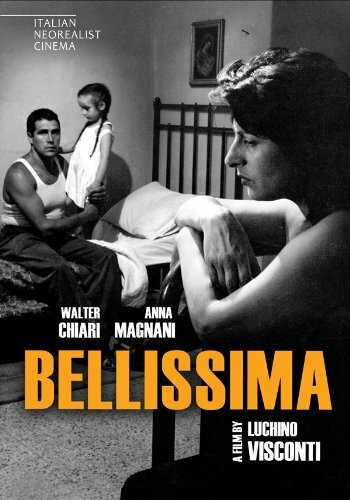 Bellissima does seem quite a change, but a consideration of the later films—the operatic romanticism of Senso; the melodrama and overt symbolism layered over a re-visited neorealism in Rocco and his Brothers; the camp histrionics of The Damned; the static classicism of Death in Venice—puts this change into perspective. Bellissima’s connections with neorealism now appear much stronger. 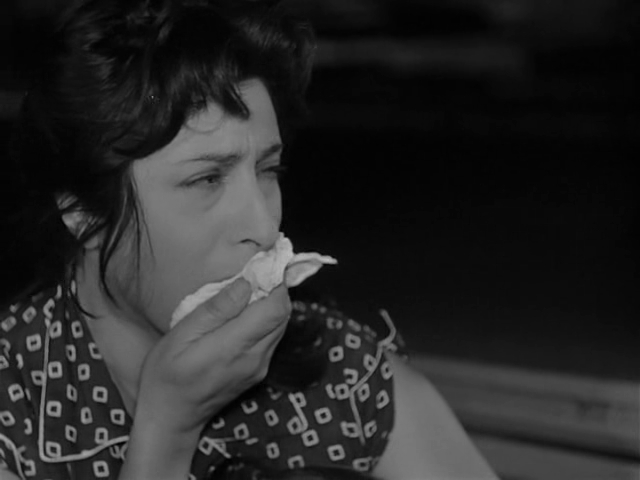 The most obvious neorealist connection is of course the original story/screenplay of Cesare Zavattini, who you could call the patron saint of neorealism through the many films he contributed to as a writer (prominent examples: Rome, Open City; Bicycle Thieves; Umberto D). 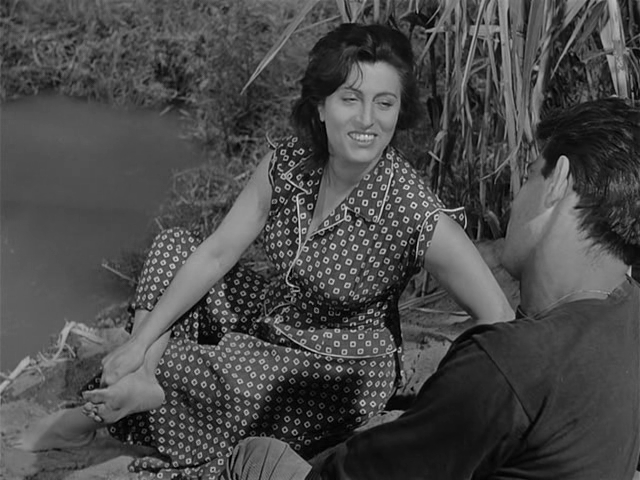 But significantly the final screenplay, worked on by Visconti himself, assistant director Francesco Rosi, and his ever-faithful collaborator Suso Cecchi D’Amico (from Bellissima on she co-wrote almost all his films, up to and including his last one, The Innocent), deviated from Zavattini’s original downbeat ending. 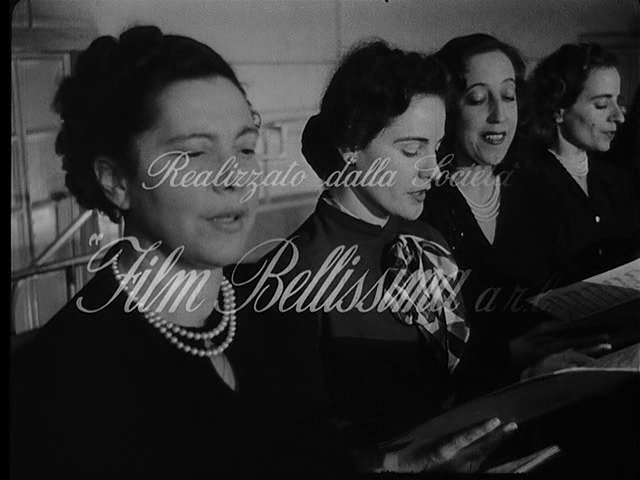 The ending we now have is one of moral victory with important political/social implications in the way it asserts the virtues of the working-class Cecconi family over the middle-class/bourgeois world which mother Maddalena has been trying to raise her family into.